The Law Offices of Frank F. Daily, P.A., is a Baltimore-based trial firm with a primary emphasis on defense litigation. 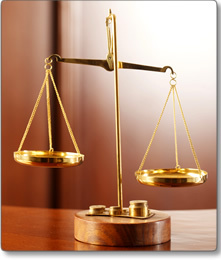 Our firm practices throughout the State of Maryland, in Washington D.C., and in federal court. We will effectively manage a case from inception to resolution. Our skilled trial attorneys will not hesitate to proceed to trial when appropriate, but also recognize the importance of objective assessments of litigation and the benefits of crafting satisfactory, and in many instances creative, means of resolving litigation short of trial. We also have a strong appellate practice and are fully prepared to guide a case through the appellate process. We also emphasize client relations, and make client communication a firm-wide priority. Our promise to our clients is to deliver effective and efficient representation while keeping the client informed through each step of the judicial process. Frank F. Daily had been a member of a mid-sized law firm in Baltimore, Maryland for fourteen years (approximately eleven years as a partner) when he founded The Law Offices of Frank F. Daily, P.A. in 1999. Mr. Daily has received an "AV" rating, the highest rating in terms of competence and ethics, in Martindale-Hubbell, a well-known, frequently referenced, national legal directory. He has extensive jury trial experience and is a member of the American College of Trial Lawyers. He has lectured extensively on trial practice and litigation issues, and he previously served as President of The Young Lawyers' Section of the Bar Association of Baltimore City. 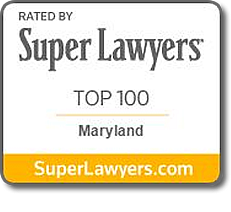 He has been honored for several years with the designation of “Super-lawyer” by a local publication. The firm has been fortunate to have grown significantly since its founding. There are now thirteen attorneys, ten paralegals, and an excellent support staff, all of whom work hard to provide professional, capable, and efficient representation. The firm also has a strong emphasis on community and supports a number of local educational and charitable organizations.